Keeping your office energized shouldn’t leave you feeling drained. With using other services, such as lunch catering or even going to grocery stores yourself, you can have the opposite effect desired that can cost you valuable time and money. It’s no easy task to get snacks that are not only healthy but that also fit everyone’s tastes and diet restrictions. 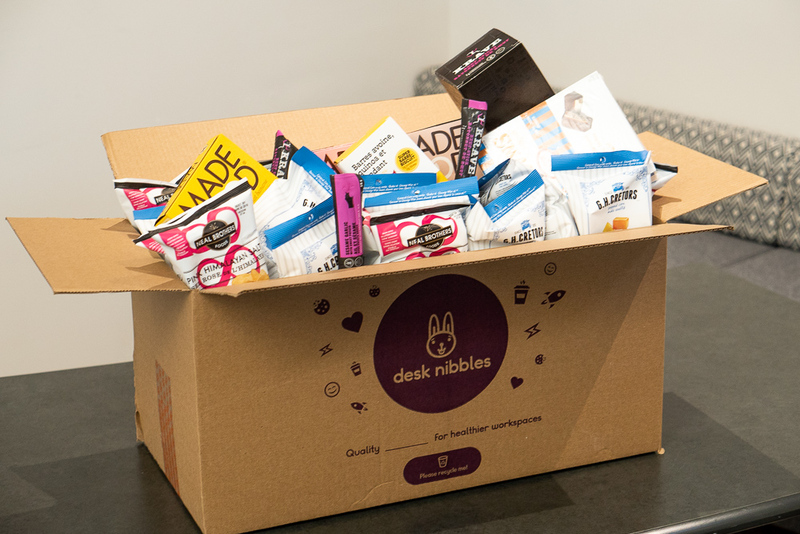 The Uber office found that the way they did office snacking wasn’t creating the office environment they wanted - until they found Desk Nibbles. Before Desk Nibbles, Uber had found that the ways they were trying to keep their employee’s needs satisfied were costly and ineffective. 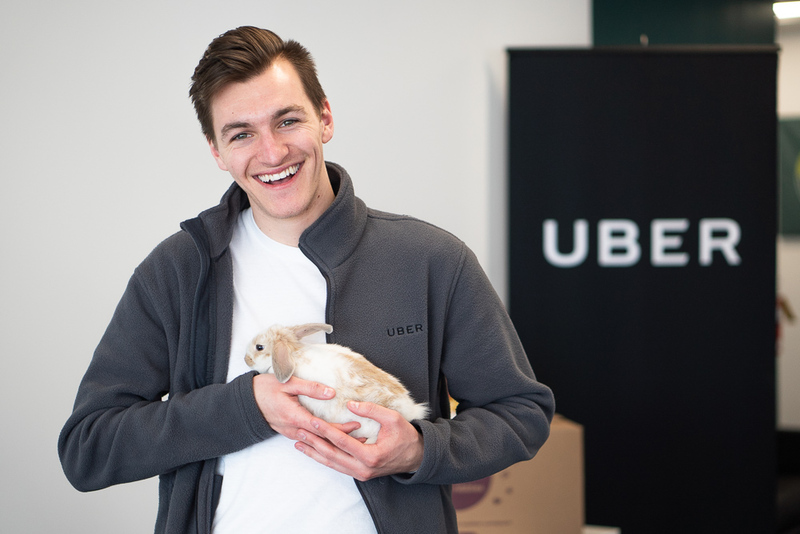 Until Desk Nibbles was introduced, Uber had been solving the office snacking problem in the two most common ways: catered lunches and sending staff to the grocery store. This created two problems for their office. Firstly, they wasted time and became short staffed going to the grocery store. The last thing teams need is missing members when there are goals to achieve that require everyone to be immersed in the work that they’re doing. 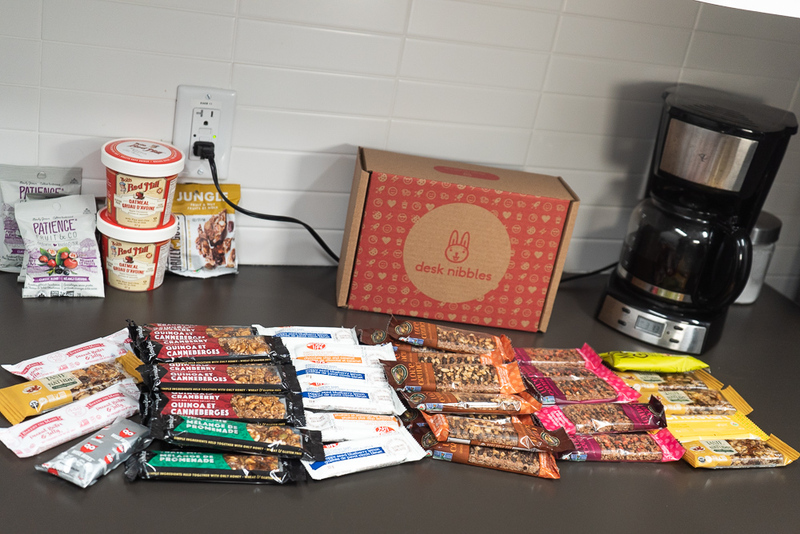 Desk Nibble’s automated ordering service gave their office the ability to remain at work and have a variety of snacks in the office. Uber's snack order, ready to eat! Secondly, Uber found that the lunches they catered for the office left employees with a low level of energy. Providing catered lunches is also a costly solution, doing so twice a month didn’t excite employees. The common problems that occur with catered lunches were brought to an end by reliable and consistent deliveries of snacks items that don’t leave you feeling slow. Uber’s all too common problems of wasting time and poor snacking options were easily fixed with Desk Nibbles. Rotating inventories ensure that your office not only gets healthy snacks, but also a variety of snacks too. With all of this set on an automated ordering schedule you get to keep all of your employees where it matters; energized and in the office.